By this time you all know how much of a Kpop lover I am. I’ve include that information in my five things you probably don’t know about me post and I also did a list of my all-time favorite KDramas. But aside from Korea’s entertainment scene, I am also a big fan of the Korean beauty specifically - skincare! The Korean skincare routine is said to be life changing. Adopting it into your own everyday regimen will provide you with a whiter, poreless and glowing complexion. Over the years of following some of the best Kpop groups I notice one thing - their skin is soooo good. No sign of aging, big pores or acne marks. 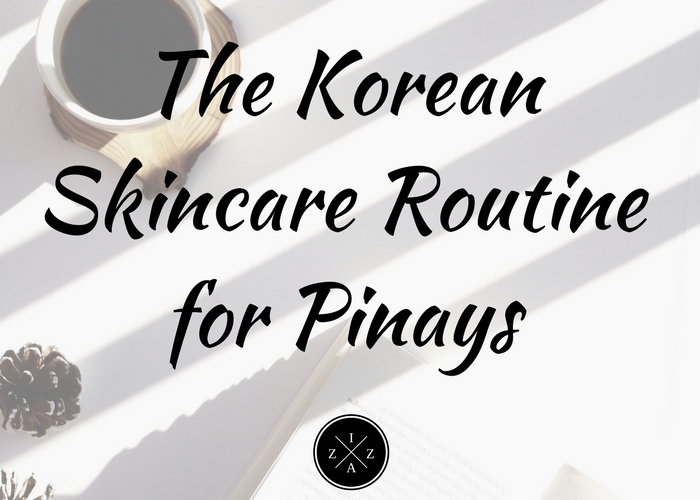 From then on I decided to research more on how the Korean Skincare regimen works and how we, Pinays can adopt it into our own routines. 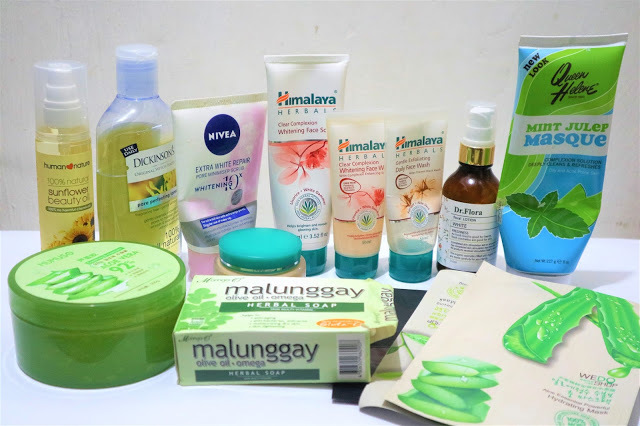 I've talked about the Perfect Skincare Routine for Pinays and most of the steps in the said post were taken from Koreans. Also, although there are 10 steps involved the in Korean skincare routine, please note that you have the freedom to personalize the regimen at your own pace and convenience. I know that doing 10 steps before and after a long day at school or at work can be very tiring. You are very much welcome to add or remove a product in accordance to your needs. Korean skincare routine is not just for the Pinays but also for the Pinoys. I love that Korean beauty brands endorse proper skincare to the men too! Most of these brands have Oppa Hallyu stars as endorsers. This proves that skincare is for everyone. Trying the Korean skincare routine this year has been the best decision ever. It made me feel and look better. I wear less makeup than usual because my skin looks good on it's own. Although I don’t follow an all-Korean products I still follow the procedures step-by-step. Koreans are big fan of Double Cleansing. They first remove their makeup with an oil-based cleanser and then followed by a foaming or regular cleanser. This way the face is cleansed thoroughly but not over-dry. Cleansing oils are good product to invest if you wear heavy makeup on an everyday basis. This is also recommended for those who use waterproof eye makeup or smudge-proof liquid lipsticks. Use the cleansing oil or balm of your choice on a dry face and massage gently. You’ll be surprised how it melts all of your makeup at once. Next wash your face thoroughly with water and pat dry. I highly recommend Biore Cleansing Oil, part of my BeautyMNL Haul, if you want to try a budget-friend cleansing oil. 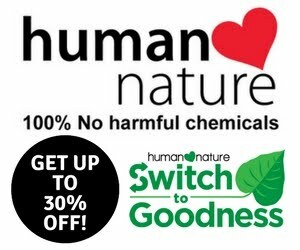 Also try Human Nature’s Sun Flower Oil! For those who can avail, Banana Co. Clean It Zero Cleansing Balm is also a highly-recommended product. To ensure that all makeup residue is removed, the Korean skincare routine suggests to double-cleanse with a regular foaming or cream cleanser. With this you can remove traces of dirt, sweat and other skin impurities. For cleanser you won’t go wrong with Avon Anew 360 Illuminating Face Cleanser. Is double-cleansing really that big of a deal? Koreans take their cleansing routine pretty seriously. Most makeups have oil as ingredient so using an oil-based cleanser first will guarantee it will be removed. If you really can’t allot time in the morning to double-cleanse I suggest doing it at night-time instead. In the morning you can opt for just a regular cleanser. Our skin needs to be exfoliated every now and then. It plays an important role to keep your skin clear and blemish-free. In Korean skincare routine, exfoliators and scrubs are said to maximize the effects of other products. It also helps brightens and smoothes the face. One of the best gentle scrubs I’ve tried is the St. Ives Apricot Scrub. I never get tired of using this product because it can exfoliate well and leaves my face hydrated at the same time. I also tried Himalaya Herbals Clear Complexion Whitening Face Scrub and I find the apricot granules to be really mind on the skin and good for everyday use. Toners help balance the pH level of the skin. It also removes remaining dirt on the skin that the facial wash didn't remove. They also help introduce moisture back to the skin after all the previous steps are done. For toners I love Avon Anew 360 Illuminating Face Toner. I also enjoy using Dickinson’s Witch Hazel Toner, can be bought at Healthy Options and Nivea Refreshing Toner. Serums or essences are much stronger treatment to the skin. It boosts the skin's hydration. 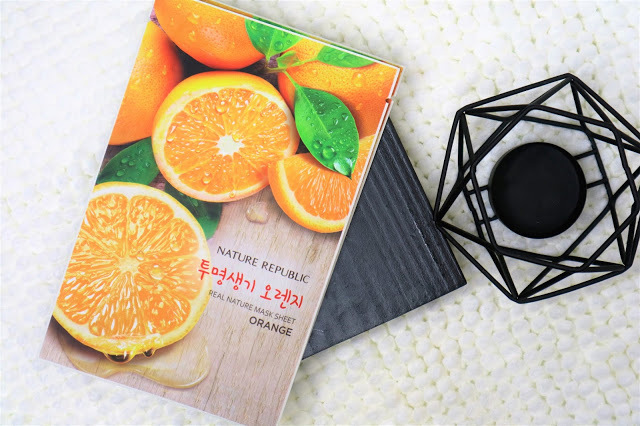 This part of the Korean skincare routine makes the skin bouncy and healthy at the same time. Most serums are priced really high but Korean women actually swear by them. Invest in your skin, ika nga. 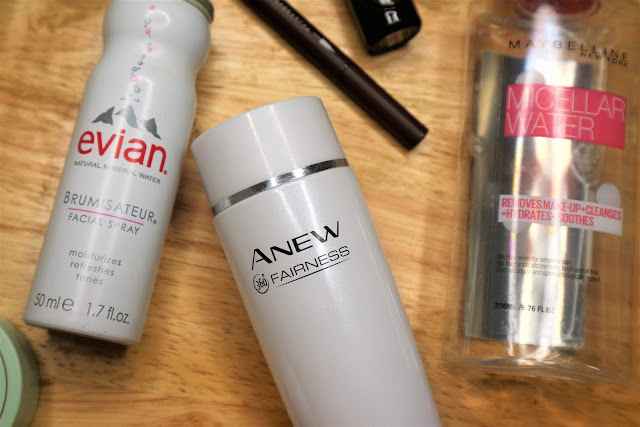 The Avon Anew 360 Illuminating has their own serum which I have yet to try. The only serum that I have used is the one from Bench Perfect Skin Whitening Set which only costs Php 149. Out of all the steps in the Korean skincare routine for Pinays, this has got to be my favorite part - sheet masks!!! I remember watching Ji Hyo of Running Man in one episode and no matter how tired she is from the shoot she still manage to wear a sheet mask before going to sleep. Sandara Park also does this on reality TV. Sheet masks lock in all the moisture in your face. There is no harm using it daily, every other day or once a week! There are a variety of sheet masks to choose from based on its purpose and ingredients. For more detailed post please read Must Try Face Masks in the Philippines. For recommendations here are some face masks you can easily buy at Watsons. Though Koreans have what they call as the aegyosal where puffy eyes are considered pretty, dark and saggy looking eye bags are big no-no. The use of eye creams is very much important on Korean skincare routine. Eye creams are expensive! And finding the right one can be really hard. The only eye cream I really used is Avalon Organics Intense Defense with Vitamin C. Quick FX also released an eye lift cream in sachet. Moisturizers help to keep the face hydrated at all times. Aside from moisture, this key step helps avoid dull and flaky skin, prepare the skin for much flawless canvass before makeup and gives extra tender love and care in general. You know how much I love my aloe vera gel both day and night. I am almost done with my Nature Republic Aloe Vera Gel tub but I also have used (and abused) my Php 99 Mumuso Aloe Vera Gel which I even made a review. Another great moisturizer I adore so much is the Himalaya Herbals Clear Complexion Whitening Day Cream. The product is also part of my Best of 2016 - Skincare List. Sunscreen should always come after moisturizer so it can fully shield your skin from harmful rays of the sun. The use of sunscreen is one last important factor that makes Korean skin great. Sunscreens help treat spot and avoid pigmentation on the skin overtime. This assure that the face will stay as young and beautiful even with the harmful effect of the sun. I implemented sunscreen two years ago and I became such a huge fan. It revolutionized my skincare routine and I just can't go out of the house without applying it. I always enjoy using Nivea Sun Whitening Protect especially because it has SPF 50. Through the day it’s only essential to rehydrate your face and face mists are the legit way to do so. I keep one near my bed and sometimes bring at work to make sure my face is moisturized all-day long! Nature Republic Aloe Vera Face Mist is a must-have as well as Evian Spray. 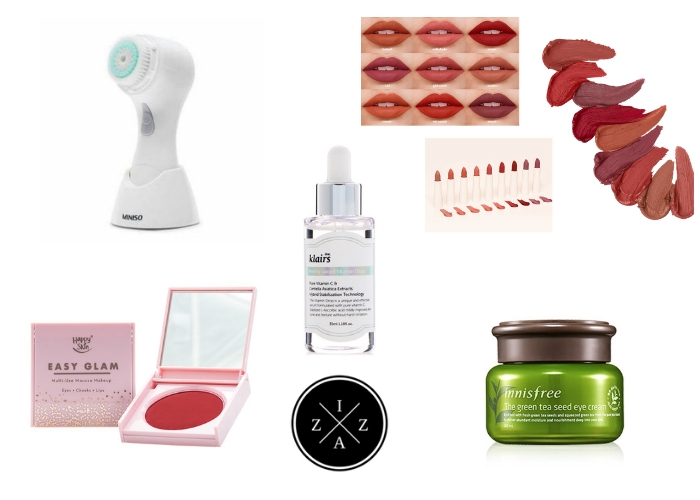 Part of my beauty wishlist is the MAC Prep and Prime which will help to not only freshen my makeup but also make it last! Are you ready to try the Korean skincare routine?